I hope that no one is tired of giveaways, because I’ve got one more. After all, isn’t that what Christmas is all about? 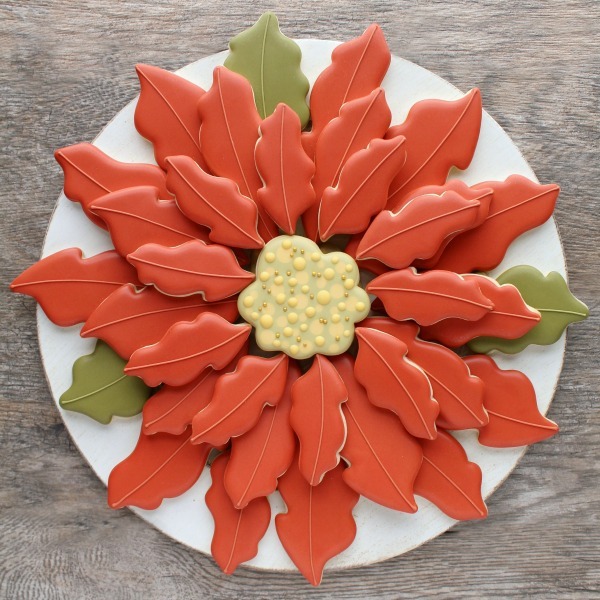 The poinsettia platter has become a Cookielandia classic, with good reason. 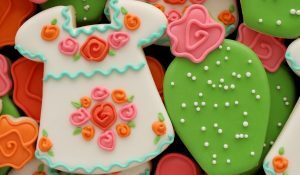 Although beautiful, decorated cookies can be very time consuming, and during the holiday season, time is always of the essence. 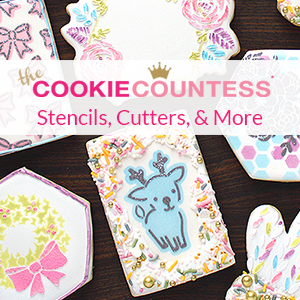 This platter is the perfect way to make a lot of cookies in a short amount of time, with maximum impact. Beautiful, right? 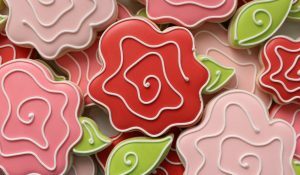 I created the very first poinsettia platter four years ago, but last year I wanted to give it a little “facelift.” So, in collaboration with Whisked Away Cutters, I designed an updated set of petals and leaves which I paired with my classic whimsical rose, to create a fresh, updated version of and old fave. 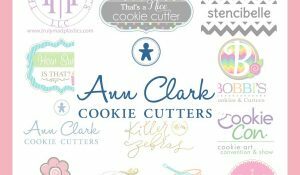 Today, I am giving one reader a chance to win the updated set (5 cutters, total) plus a fifty dollar Whisked Away Cutters gift certificate. To enter, just follow the instructions below. 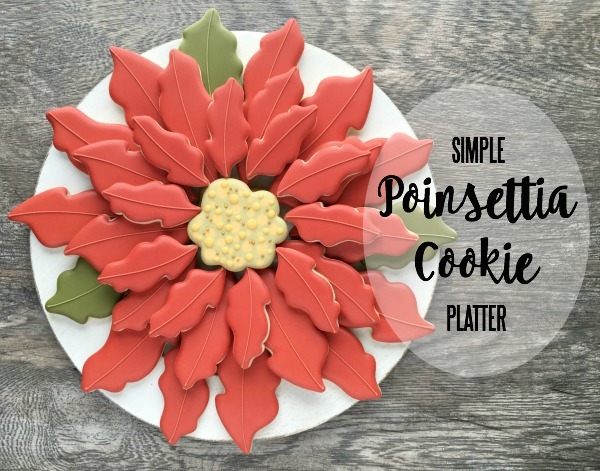 a Rafflecopter giveaway For instructions on decorating and arranging your own poinsettia platter, click here. 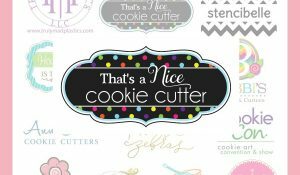 PS-I’m also hosting a second giveaway of just the cutter set on Instagram, so, go check it out and double your chances to win. Where and when are all the winners announced? Have you finished all the drawings ? (besides the one today) How will we know if we won anything & do you post the names of the winners? We have to confirm the last two. Once the winner has replied to our emails, we post their name on the giveaway widget! I may type out a formal announcement, though. Es una preciosidad, ideal para regalar. Oh, those colors… and your design! These are so very lovely and thank you for thinking of us to create the cutters for your beautiful set! Wow. I love this Poinsettia. 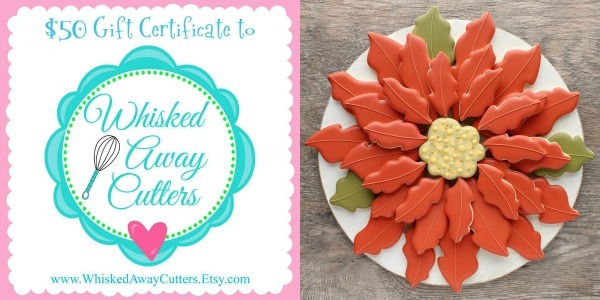 Gorgeous tray for a party or hostess gift. Wow! Makes me want to go & start baking straight away. The platter turned out beautifully, as always. Good thing you always make extra petals 😉 I hope you let Liv have all she wanted when the photo session was done! Oh this is sooooo beautiful! Would be the hit of our family get together. Thanks for sharing. You are so creative…..at a loss for words! I don’t use Facebook, but use Instagram and Pinterest. I wish i could enter this. Beautiful! Just what I need during this busy time of year. I LOVE this!!!!! Simple and elegant!!! Your platters are just beautiful. I especially love the white pointsettia. I have purchased several of your products. Your cutters are amazing. They make a nice clean cut and are comfortable in my hand. Thank you for your generosity in sharing your ideas and cookie designs. I am a big fan.